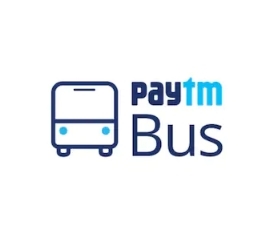 Paytm Offer: Get 100% Cashback on Bus Ticket booking Upto Rs 200, Paytm has come up with a new offer, Now Paytm is offering flat 100% Cashback on bus ticket booking up to Rs 200. This offer is valid valid till 31st March 2019. So follow below steps and avail this offer. How to Get 100% Cashback on Bus Ticket booking Upto Rs 200? Then initiate a bus ticket booking. Search for ‘Bus Tickets‘ as per the Journey plan. Enter your details and apply the code at the time of checkout. Proceed at Payment and pay the required amount. The customer will up to Rs.200 cashback on bus ticket bookings. Valid at Paytm website (paytm.com/bus-tickets), Android & iOS apps. The canceled order will not be eligible for Cashback, however, will be counted as one-time usage. To get Cashback, the user needs to have a verified mobile number on Paytm and should be KYC Compliant.